A Balkan group playing the social dance and wedding music of Macedonia, Bulgaria, Serbia, Romania, Greece, Turkey and Romany Gypsies on a range of traditional and electric instruments, this group features heartfelt, earthy vocals by Linda Marr of Blindman’s Holiday, Nakisa and Musica Linda fame. 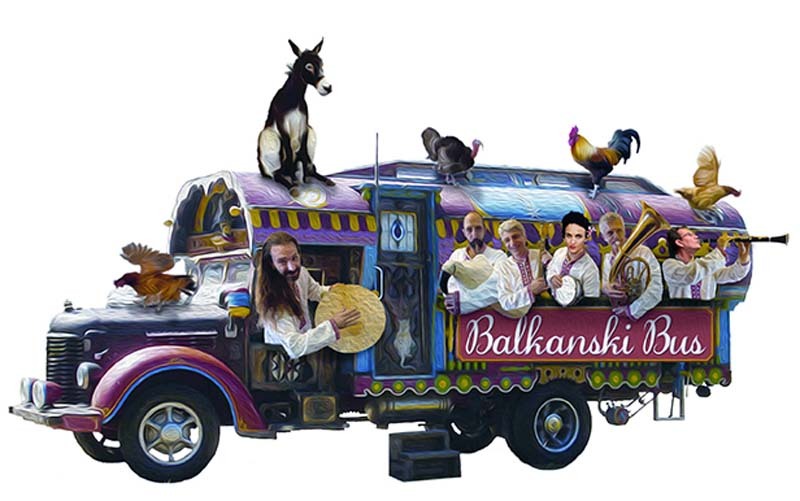 Spend New Year’s Eve in the Balkans, where the music is fast and the dancing exhilarating. Dance like Dracula would have, at this fabulous neo-gothic dance experience.